We want to thank all of you for your continued support and interest in Sheila and Loren as they continue to live with ALS. Sheila is still fighting. She has worn a groove in her speech pad over some of the more “salty” replies, but Loren probably deserved most of them. Sheila down front with Loren’s dad. In the back row are Loren’s Son in law Stephen Holland (Visiting with us from Australia), Loren’s granddaughter Penelope Rose, Loren and his daughter Jennifer. We were blown away by the interest, donations, and excitement that the nationwide “Ice bucket challenge” generated, we are proud and humbled by the people that participated. So many participated that we are having a hard time fulfilling our last few challenges. Good for us all. Shelia and Loren appeared on a local News station on the subject of funding for interface devices. Click the link to see it in its entirety. After a LONG wait, the NexSys™ has arrived. We are currently pulling Beta units from the field and the first production units are rolling out. This is not a controller. This IS a platform, specifically designed in a way that we will continue to build on. 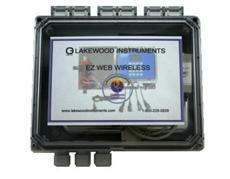 It is the next generation in reliable controllers from Lakewood Instruments. Each Controller includes a 5.7″ touchscreen for user interface. 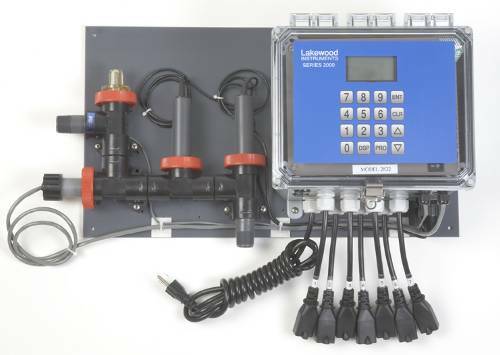 This saves you time programming and viewing the multitude of features, configurations and readings. Each controller comes Ethernet, Lon and BACnet ready. They are not options. They are included. Please download our latest catalog to see the specifications, capabilities and pricing of this innovative addition to our bulletproof product line. If you would like to schedule a webinar for your team to learn more and participate in the demonstration of this remarkable system, please contact your regional sales representatives (for west Tom or for East Paul). Screens can be viewed from HTML5 capable browsers (Chrome, Firefox,etc) and Smartphones using remote access. The screen you see is the exact same screen you see at the controller. No more mucking about to find a function on a web page that is not laid out in the same menu system as the actual controller interface. (Including live graphing of features IN COLOR). With the rollout of the NexSys™, we are also offering new pricing on new (and renewed) broadband connection contracts. We have reduced the cost by 40% per month (from $75 to $45). You will still buy the contracts on a yearly basis in their entirety, but this makes the ability to provide direct access to the controllers economical, while reducing the need to interface with site IT departments. Please be aware that if you use our online order placement, fax order or email orders, you should receive and acknowledgement within 24 hours. If you have not received an acknowledgement via your preferred method of contact, within 24 hours, please contact us directly at 414-355-2807. The replacement control system will be the NexSys™. We will continue to support the 2000e product through its warranty period and as long as support inventory holds up, but we will stop selling new 2000e series controllers in the next 90 days (mid December 2014) or when current new salable inventory is depleted. Please call to clarify the equivalent and “better than” NexSys™ units and accessories.